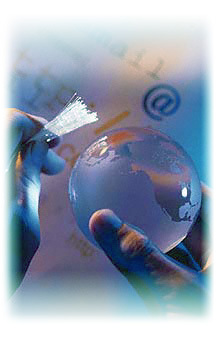 Tagnet Communications has built its reputation by offering a quality service to its clients. We value each client as a partner. Our goal is to establish a partnership relation with our client by integrating our services into their value chain to help them achieve their objectives. We can recommend secure network solutions and alternatives architectures adaptable to your environment that best protects your networking investment as well as your trading partners, suppliers and customers. Tagnet Communications Networking Services can help you develop strategic solutions, solve critical connectivity issues, diagnose and solve problems, and implement ideal solutions for your multi-vendor environment as well as for your hybrid environment. Copyright All material copyright © 2002 Tagnet Communications. All rights reserved.